Chris is an experienced therapist and owner of Keystone Physiotherapy. He works with his clients to develop realistic, functional programs to achieve their goals. Chris has a strong background in sport. As a 17 year old, Chris made the Canadian Rugby Team. It was through his travels with the team and his dealings with the team Physiotherapist that Chris became inspired to pursue a career in Physiotherapy. 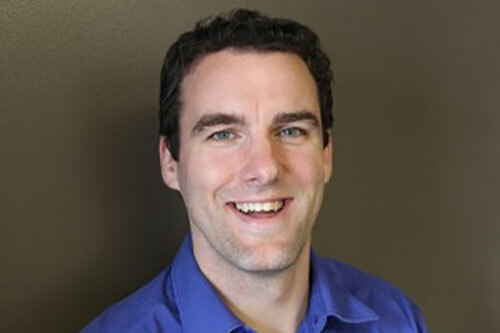 He began his studies in Kinesiology at Memorial University and went on to graduate from Dalhousie University in 2004 with his Physiotherapy degree. Chris initially worked as a member of the Physiotherapy staff at the Moncton Hospital, before joining the team at Keystone Physiotherapy in 2005. He is currently an active member of the Sport Division of the Canadian Physiotherapy Association (CPA). He understands the toll sport can have on the body and the best ways to treat and manage those issues. Today, he continues to give back to sport and his community by volunteering for numerous local, national and international events, as well as annual sporting events such as The Hoop Classic and Moncton First Touch Soccer. He has shared his expertise as an educator in the community in the areas of exercise, injury prevention and proper postures and biomechanics. He also hosts courses locally for internationally trained therapists so that the local physiotherapy community can better serve the public. Chris continues to expand his expertise through post-graduate training in the fields of manual orthopedic therapy, vestibular rehab, and acupuncture. He has attended courses from world-renowned therapists including Shirley Sharman, Robin MacKenzie, David Butler, and Brian Mulligan. He is certified with the Acupuncture Foundation of Canada Institute and is an active member of the Orthopedic Division of the CPA. Chris incorporates these skills into his assessments and treatments of individuals of all ages. Chris currently provides expertise for Worksafe New Brunswick in the area of shoulder injuries and rehabilitation. He works closely with orthopedic surgeons at both city hospitals, to provide the best possible treatments in the most efficient time period possible. He believes in taking the time to educate his patients about their injuries and expectations. He then works closely with them as a partner in their rehabilitation.